The research was published in the American Chemical Society journal ACS Infectious Diseases in September. The World Health Organization identifies MRSA as one of about a dozen antibiotic “superbugs” that pose an enormous threat to human health. WHO has listed methicillin-resistant Staphylococcus aureus, or MRSA, as one of six ‘high priority’ pathogens with an imminent threat to public health. The Centers for Disease Control and Prevention reports 80,461 people in the United States suffer severe MRSA infections a year and 11,285 die. 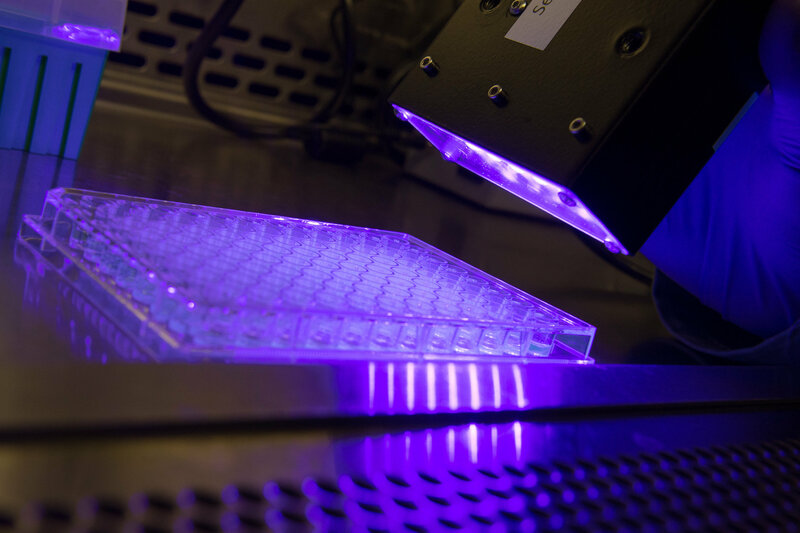 Photodynamic therapy, or PDT, involves a compound known as a photosensitizer, which can be activated by visible light to kill diseased cells or bacteria. PDT is a clinically proven method for fighting cancer but has not yet been developed for treating MRSA infections. The discovery aligns with Purdue’s Giant Leaps celebration, recognizing the university’s global advancements made in health, longevity and quality of life as part of Purdue’s 150th anniversary. This is one of the four themes of the yearlong celebration’s Ideas Festival, designed to showcase Purdue as an intellectual center solving real-world issues. “Our discovery is part of a convergence on campus to develop drugs and get them to people in need as quickly as possible,” Wei said.